Dimensions are not places or locations, but levels of consciousness that vibrate at a certain rate. The higher we vibrate, the more dimensions we consciously experience.” ~ Liara Covert When we begin to rise in vibration and frequency, we are able to access wisdom stemming from the higher dimensions more easily and readily than those who are still vibrating at a lower speed. And while this has nothing to do with “better” or “worse”, because each soul is on the perfect path for them, those who are on the front lines of the ascension process (ascending from third dimensional reality to fifth dimension reality) can often feel disheartened or lonely even to see a world reflecting back to them so much pain and suffering. An important thing to realise here is that the ones leading the way in the consciousness revolution are going to experience fifth dimensional consciousness before most or many others in their life, so while our loved ones may still be stuck in cycles of suffering, it is our duty to maintain a sense of calm and lead the way silently and energetically for the beings who are going to begin their ascension process soon enough. If you have felt a strong spiritual impulse over the past several years or decades even, one that you can’t deny or get away from even if you wanted to, you are most likely a way-shower into fifth dimensional consciousness. You may have had an inner knowing for some time now that you are here for a reason, or on a mission of some sort. 1) You can tell something has changed, but can’t quite put your finger on it Fifth dimension isn’t an actual place to travel to but rather a state of consciousness, and it can be a little difficult to really pinpoint the exact difference at first. You may be able to tell something is off, colors may look brighter, you may feel calmer inside, or something just feels… strange. Since this dimension is quite new to our conscious mind and physical body there really isn’t anything to compare it to that we have ever experienced before, but nonetheless as energetic beings, we can “feel” it. The most important thing you may realize is that while your outer reality has not changed much, your feeling towards your outer reality feels completely different, metaphorically speaking it’s almost as if someone has shifted the lens on your glasses to a better prescription. Things look clearer, life seems the same, yet you are looking at it from a different place and that place is more accepting of that what is. 2) You get the feeling you have no choice anymore “We arrive into this world as energy, same as stars, wildlife, wind and ocean. Messy, raw and continuously perfect in our chaos. Release the need to control and instead surrender to your own natural rhythm, as expansive, accepting and open to new circumstances and situations as air itself. That is how you’ll thrive.” ~ Victoria Erickson Much of third dimensional consciousness is characterized by “right” and “wrong” decisions. We mull over life worrying that we will make a bad choice or try to determine the best choice, but these judgments soon begin to disappear as we come into fifth dimensional consciousness. You may have heard the term “surrendering of personal will”, which just means that as we come into better alignment with higher wisdom we stop questioning ourselves or the universe and start to resonate with our destiny. There are some things we are destined to experience in our incarnation here and as our egoic attachments fall by the wayside and are replaced by faith and surrender it can begin to feel as though life is moving us on our exact right path in a more effortless manner. While those still vibrating at a lower frequency will use things like blame, victimization and bad/good luck as the reasons why things in their life happen, those residing in a 5d reality will begin to realize that nothing happens by accident or chance. All situations are here to help us heal something or to show us the path of our highest joy. The spiritual being begins to take precedence over the human character we are playing and because of this all things have a deeper meaning and the implications are more spiritual in nature. 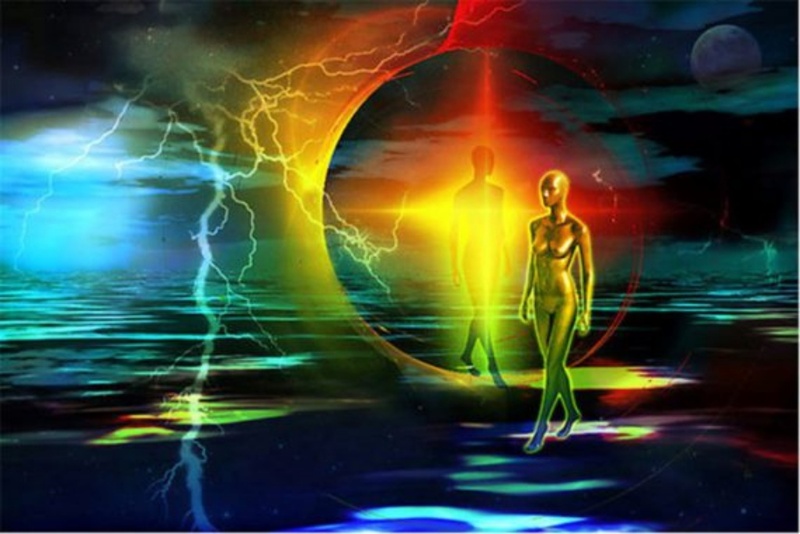 4) People seem to be a lot nicer wherever you go- As we begin to vibrate in fifth dimensional consciousness a majority of the time we will begin to finally see the fruits of our labor being reflected back to us by the people we encounter in our day to day life. Our energetic vibration pulls out the fifth dimensional aspects of the characters we come across. The world seems to be a nicer place, people are opening doors, giving us compliments, just all around more pleasant and it’s noticeable. Perhaps the most difficult part of the ascension process is the shedding of the old to make way for the new. The universe needs us to be as empty as possible to enter 5d consciousness and it does this by giving us opportunities to heal and release all pent up emotional blocks and belief systems by way of one devastating experience after another. It can feel as though we are the ones vibrating the highest yet having to go through the most tumultuous experiences, which can lead many of us to become disheartened and even angry at the universe for putting us through this. But rest assured that all is well and this stage will come to an end. As the love inside of our own being begins to awaken it becomes painfully obvious that each emotion arising within us is begging for our attention and unconditional love of it. We are the healers of our own hearts, and soon a beautiful emptiness will begin to emerge as our natural state rather than the chaotic waves of emotional healing process that we had to go through in order to get to 5d.